What is the difference between dogs and cats, based on what they eat? Omnivores are animals that can ingest and process carbohydrates, protein, fat, and fiber. Dogs have the ability to survive on both plant and animal matter. Carnivores are those whose diet requires nutrients found only in animal flesh. 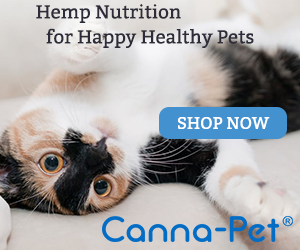 While your cat can ingest certain plant matter, they lack the ability to digest it. Have you ever wondered why your little kitty chews on grass or other plants? Most likely they have an upset tummy. The vegetation will cause them to vomit the stomach contents back up. Cats have high protein requirements and their metabolisms appear unable to synthesize essential nutrients such as retinol, arginine, taurine, and arachidonic acid; thus, in nature, they must consume flesh to supply these nutrients. The dog is not simply an omnivore. 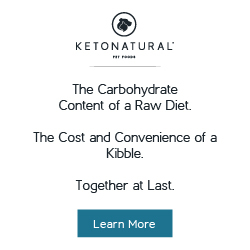 More like the cat and less like the other omnivores, the dog can only produce bile acid with taurine and it cannot produce vitamin D, which it obtains from animal flesh. Also more like the cat, the dog requires arginine to maintain its nitrogen balance. 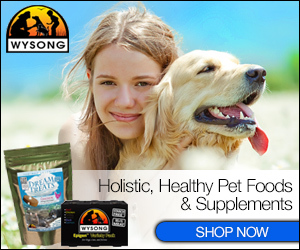 These nutritional requirements place the dog part-way between the carnivores and the omnivores. As a dog and cat have different nutritional needs, you would not want to feed them the same food. Dogs can survive on a vast array of food sources, while the feline must get its nutrients from meat. In the last twenty years, my mother and I have had four rescue dogs that we fed canned dog food mixed with rice. Throughout the 15 plus years that they lived, they all seemed well-fed and content. We also had several cats in our animal herd that seemed to thrive. They would get a dish of canned food twice a day and dry food and fresh water were always available. Three of these felines lived to be 15, 18 and 20 years old before kidney disease, cancer, and old age took them. We still have a 20-year old female named Misty, and three 2-year old male cats named Oogie, Buddy, and Fluffy. The “three amigos” were part of our feral cat community. Within the last year, they have made our home their territory and are content to hang around. As I was feeding my pack of felines the other day, they did not seem interested in their food. They ate a little but left the majority in their bowls. I wondered if they were getting bored with the same type of canned cat food. I tried switching between chicken, beef, and fish. I tried changing brands. They would seem interested for a while, but the results were the same. They would leave most of the food in their bowls. At that point, I decided to do some research online. Wikipedia is where I discovered the difference between cat diets and dog diets. We have always fed our canines dog food and our felines cat food. Yet, I still wondered why my little herd was not interested in their din-din. I started searching for quality canned cat food. To my surprise, I found that many pet foods contain animal byproducts. A new report sheds light on serious problems in pet food industry regulations and how specific loopholes allow for the use of questionable ingredients that could negatively impact companion animal health. Giblets (livers, hearts, gizzards, and necks), as well as other organs, can still be sold as edible meats as they are — or used to make hot dogs, bologna and sausage. 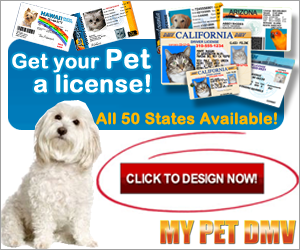 I then discovered that there have been at least 17 recalls on canned pet food in the past ten years. The article on Truth About Pet Food provided easy-to-read graphs for me to understand. The chart, shown below, was a big shocker. Six of the recalls were for insufficient or excessive vitamins and minerals. Five of the recalls were because the canned food contained pentobarbital. I paused after reading that little tidbit! Several websites provided me with an explanation. Euthanized animals were being processed as animal byproducts. The byproducts were then sold to manufacturers of pet food. The fact that someones deceased pet became another pet’s food just about blew my mind! Right then, I decided to find a safe and natural food that I could feed my felines. The Feline Nutrition Foundation provided me with the basic nutritional values. They explained that your cat needs protein, fat, vitamins, minerals, and water. Another good reason not to feed grain is the fact that it breaks down into sugar within the body – something a cat definitely doesn’t need! Many studies link sugar consumption to illness, including cancer.¹ Eating a high-carb diet really wreaks havoc on a cat’s body. Carbs are usually thought of as energy foods, but felines utilize protein and fat very efficiently for those needs. This is one reason why cats have such a high requirement for quality protein. Now I know what to look for in quality canned cat food. I make sure the ingredients listed on the label include these 5 major components. I do not buy canned cat food that contains carbohydrates or grains. I also make homemade meals. I cook chicken thighs and use “no sodium” organic chicken or beef stock. As soon as my finicky felines got a whiff of this meal, their attention immediately perked up! Misty and my “three amigos” now look forward to their meals, licking their bowls clean. I also try to give members of our feral cat community a healthy, nutritious meal, as well. One member, named Tom, shows up promptly at 7pm. Somehow he knows that it is suppertime!